Our newest five-star car, the McLaren 720S is the most exciting and entertaining car its maker has ever built. It’s packed with enthralling technology, and has a pace that saw it lap our benchmark handling circuit faster than its stablemate, the McLaren P1. The Autocar Awards, held in association with Vredestein Tyres, celebrate the world’s best cars and the people who make them. For the second year running, some of the most significant figures in the car industry gathered in the Silverstone Wing to watch 14 exceptional cars and eight extraordinary people receive honours. The cars receiving awards included three that received the coveted five-star Autocar road test verdict, which is among the toughest accolades that a car can achieve. The individual awards included our biggest honour, the Issigonis Trophy, which pays tribute to the individual who has delivered the most to the health, excellence and competitiveness of the European motor industry, and the Sturmey Award, named after Autocar’s founder and saluting innovation and achievement in the motor industry. Read on to find out who won this year’s awards. You can also find in-depth coverage of the award winners in this week’s Autocar magazine. To subscribe, click here. Our six Game Changers have been chosen for bringing new, higher standards to their class or for defying conventions to the benefits of buyers. There are many reasons why the Alfa Romeo Giulia is a game changer. It is Alfa Romeo’s first compact executive saloon in half a decade, the first in over two decades to be built on a longitudinal-engined, rear-drive platform and the first to spawn an SUV. 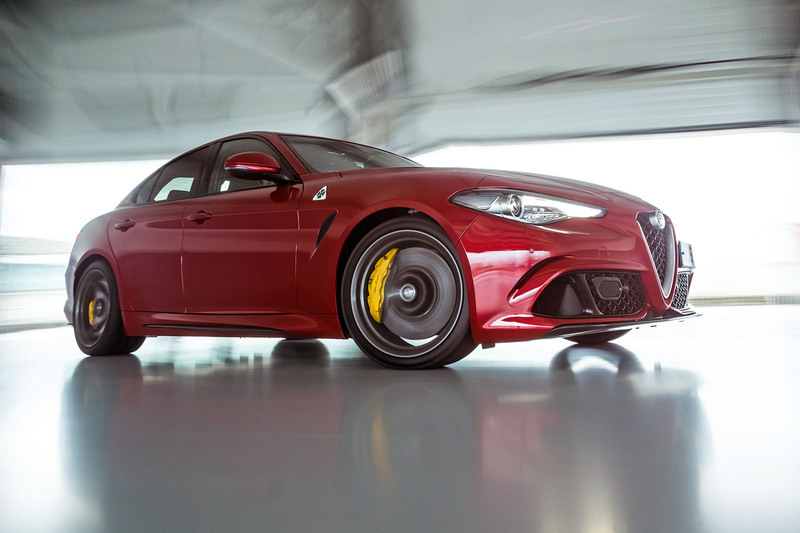 The Giulia is the pivot around which Alfa Romeo’s reinvention is designed to rotate – and it has incredible performance and exciting handling to boot. Conceptually, the Seat Ateca might not stand out as much of a game changer. It’s a compact SUV in a crowded class of compact SUVs. But the Ateca caught our attention because it uncannily ticks all the right boxes. 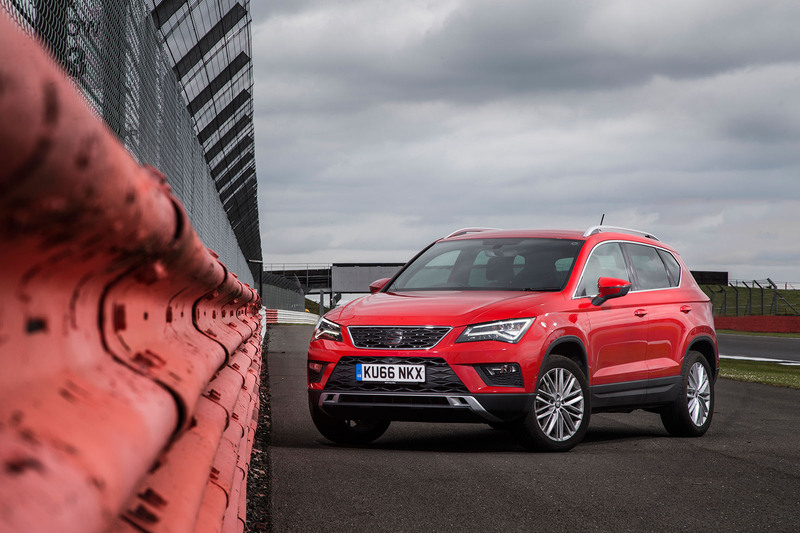 At its first attempt, Seat has produced a class-leading family crossover that’s also truly fun to drive. That’s an exceptional achievement in an ultra-competitive class – and it means the Ateca is poised to be the break-out model Seat has never previously had. 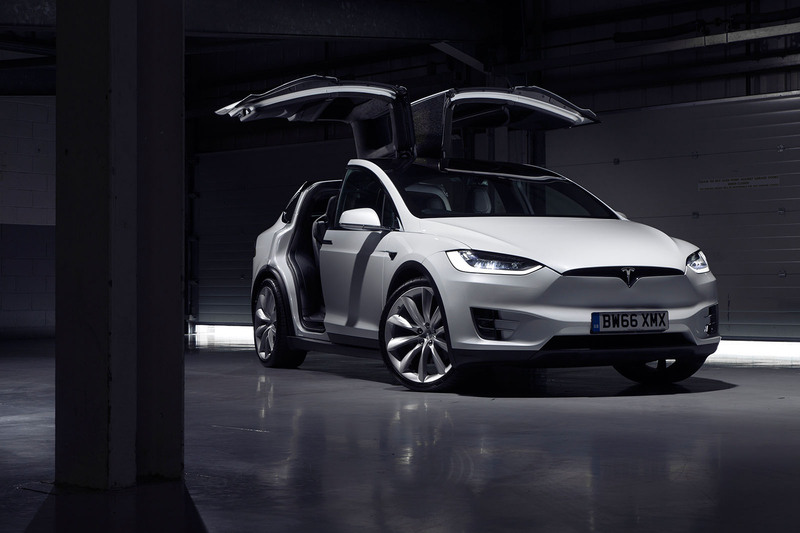 The Tesla Model X is a significant disruptor of the automotive industry. All the big premium players have electric SUVs in the works, but only one has yet brought a fine product to the market. The Model X is a seven-seat SUV with that remarkable Tesla blend of technologies and features that at once seem outlandish yet of the moment, and it fits into your daily life with remarkable ease. It’s the kind of bravery that deserves attention – and recognition. The Aston Martin DB11 might not change the world, but it will undoubtedly change the fortunes of its maker. 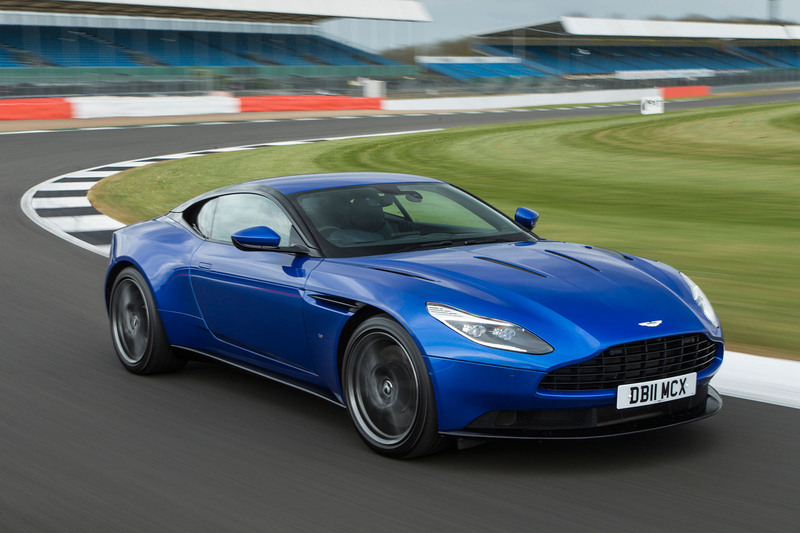 The DB11 signals the start of a new era for Aston Martin, with a new model coming every year. If the rest of the cars are as good as this one, there are set to be exciting times ahead. The DB11 is not only an excellent car to drive, but it’s also a game changer thanks to its new-generation aluminium platform. The Toyota CH-R is an interesting and refreshing crossover that features the kind of fun dynamics we’ve been craving in a mainstream model from the Japanese car maker ever since it launched the GT86. 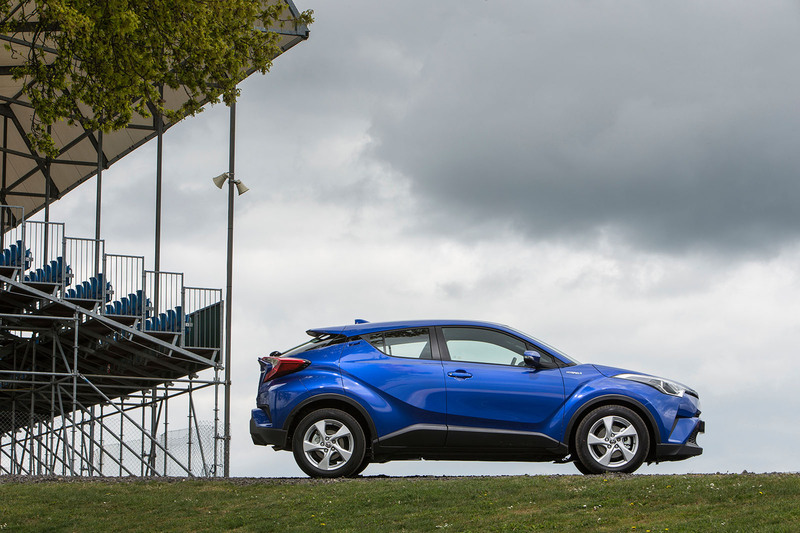 By doing things it’s own way, the CH-R is poised to revitalise the Toyota range through its fearless design. It also maintains the firm’s commitment to hybrid petrol and electric powertrains. 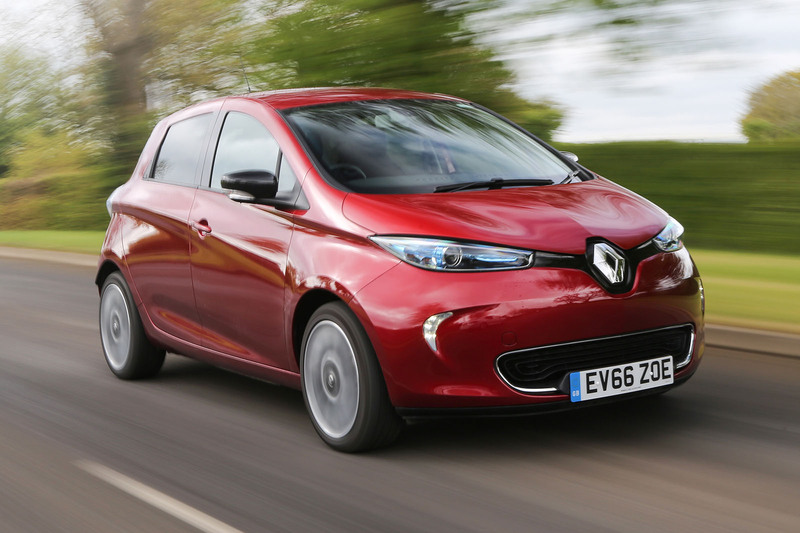 The Renault Zoe marks a significant step in bringing affordable electric motoring to the masses, as an cost-effective car ideal for those hoping to try zero-emission driving on a modest budget. An already good car has now been improved further with an increased range, the all-important criterion for buyers of pure-electric cars. By doubling the storage capacity of the Zoe's lithium ion battery, Renault has increased the car's real-world range close to 200 miles, making it an even more viable everyday vehicle. Our three award winners have, through innovation and great leadership, done an exceptional job of making their companies successful in what remain challenging and changeable conditions. 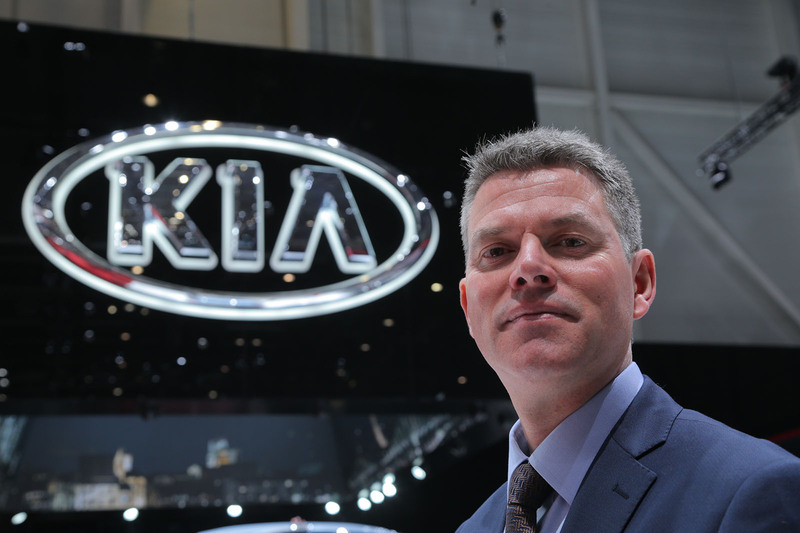 As Kia’s UK president and CEO, Paul Philpott has taken a company that was once largely unnoticed and unloved and repositioned it right in the mainstream of the UK car business. Philpott has been in charge of Kia’s UK division since 2012. Today, the brand is on a roll, with its strongest model range yet enjoying best-ever new car sales, along with copious used customers and a happy dealer network. 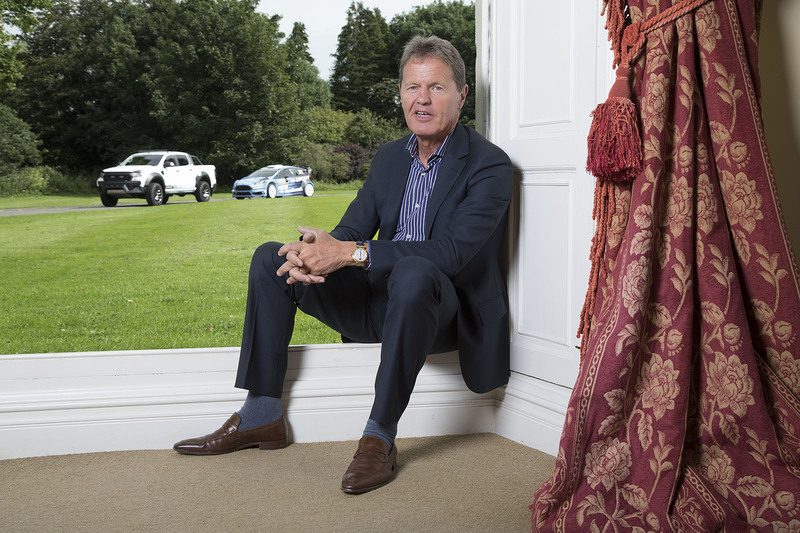 The self-made rally star turned businessman has created a diverse motorsport and motoring empire right in the heart of his beloved Lake District. Wilson’s M-Sport company runs successful World Rally Championship and endurance racing teams, and builds winning rally and rallycross cars for competitors all over the world and at all levels of the sport. 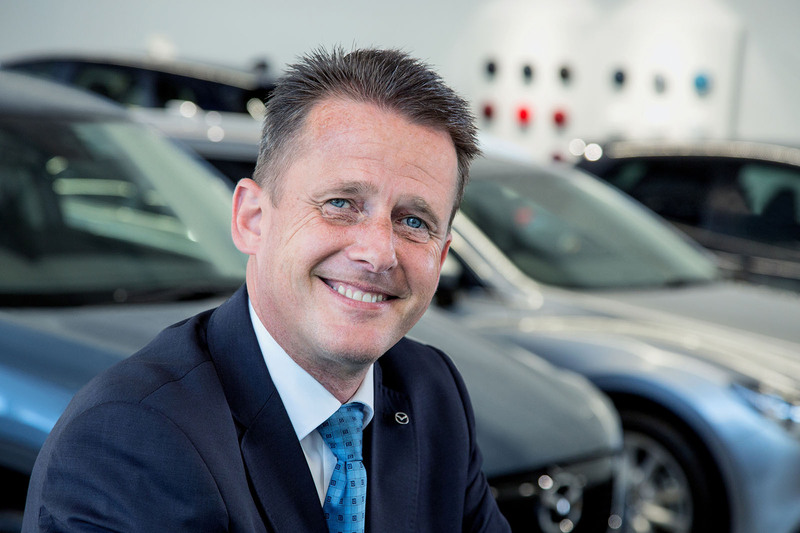 Hired as fleet director in 2001, Jeremy Thomson took over as managing director of Mazda UK in 2008, just as the global financial crisis struck. Thomson was forced to reconfigure the business, creating a leaner and more efficient operation boosted by the introduction of enticing new models. The result was consistent double-digit growth. For this award James Ruppert, our used car expert, asked Autocar readers to pick their favourite used cars that can now be owned for around half the price they were when new. 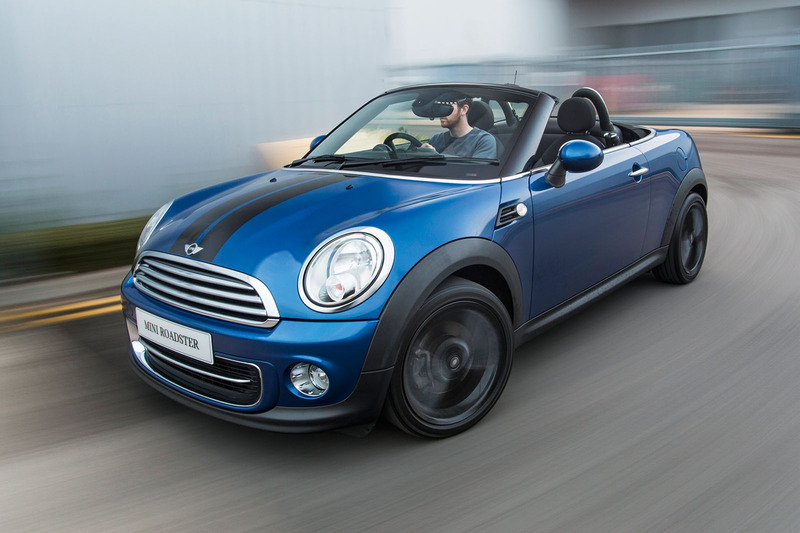 The Mini Roadster emerged as the deserving winner from a shortlist of six finalists. Some might be surprised that readers would pick an impractical convertible, but they shouldn’t be: the Mini Roadster is good to drive and good looking. For less than £10k, you can buy a great Cooper-badged 1.6 and own a used car that will put a smile on your face. These two awards celebrate the best cars to drive that you can buy. The first is for the best sub-£30,000 ‘real-world’ performance car, while the second award is for the best car at any price point. Nothing offers greater entertainment for less outlay than the Ford Fiesta ST200, which is why it beat our more expensive, more powerful and premium rivals. The Fiesta can be lobbed into a corner on a trailing throttle, only for it to go wonderfully sideways and then be recovered with ease. But its victory in this category was because it was the most complete car of all the contenders: fast, fun and with plenty of driver involvement. 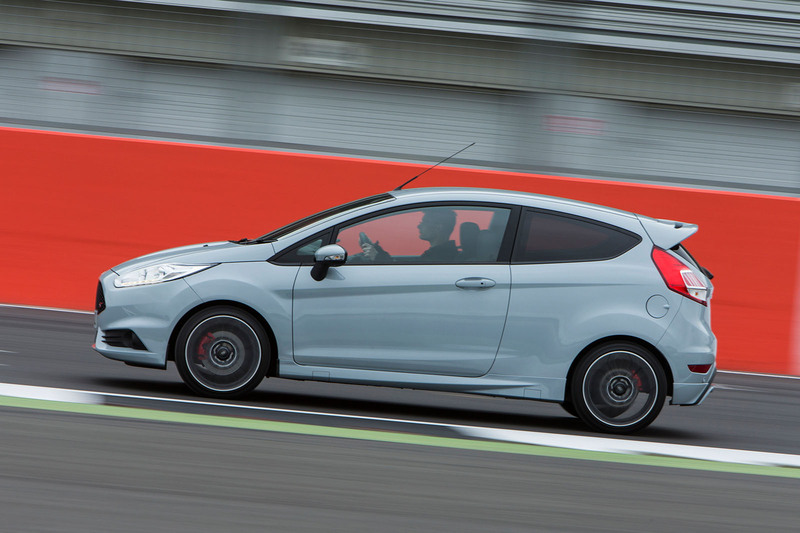 And it’s practical; you could have the Fiesta ST200 as an only car, even with a small family in tow. The contenders for this award were the core of Autocar’s most-loved cars, and separating them took a three-day shootout at Anglesey Circuit. 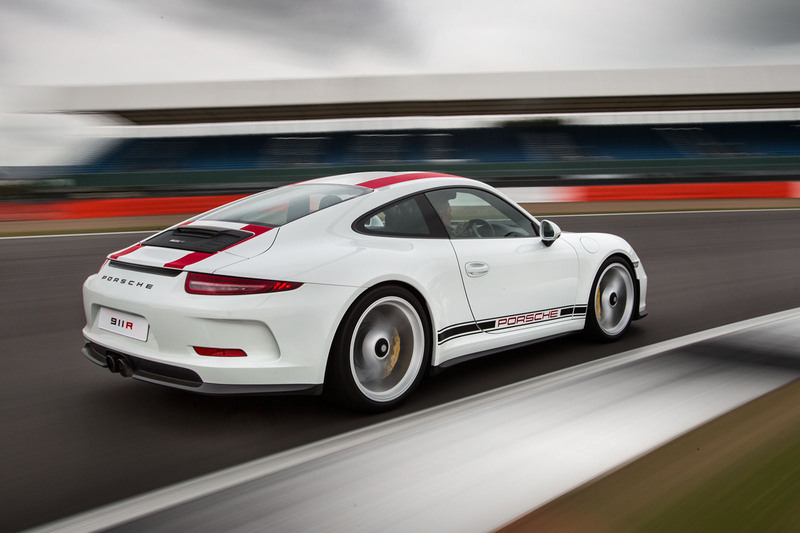 The Porsche 911 R triumphed by displaying an astonishing array of talents that builds on the qualities that have made 911s popular for so long. Ultimately, the secret to the 911 R’s success was not how well it did on the roads for which it was designed but how little it gave away to its rivals on the track for which it was not. When our judges totted up the final scores the 911 didn’t just win, but it did so comfortably. 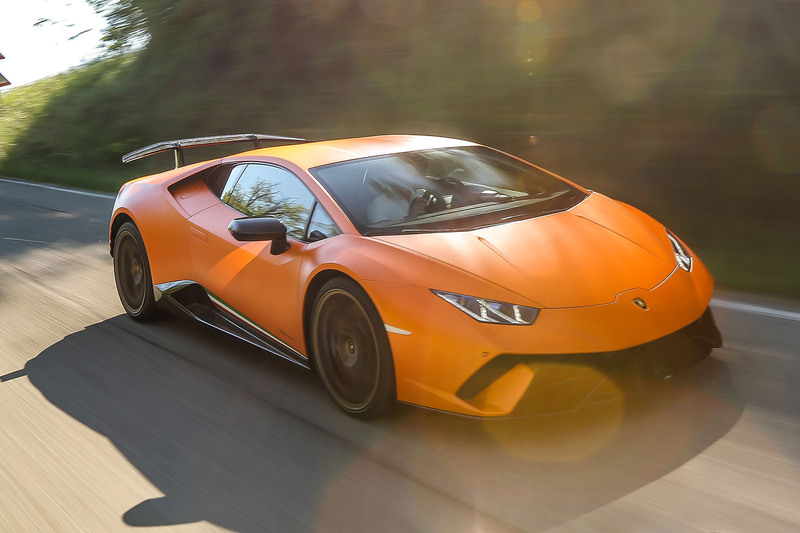 The Lamborghini Huracán Performante stands out for several technical innovations, but the one that caught our eye – and earned it this award – are its active aerodynamics. Called Aerodinamica Lamborghini Attiva (ALA), the system uses lightweight aerodynamic elements that are moved at speed by electric motors inside the front spoiler and rear wing. On the rear engine cover are four more flaps, including two that channel air to the wing. With the wing operating in full downforce mode, the Huracán Performante can produce 750% more downforce than a standard Huracán. Alan Gow is the Bernie Ecclestone of the Dunlop MSA British Touring Car Championship, a series that Autocar proudly sponsors. And having overhauled Britain’s most important motorsport championship twice, Gow is a worthy recipient of our Motorsport Hero award. As the boss of TOCA, which owns and stages the BTCC, Gow was the architect of the championship’s Super Touring boom period in the mid-1990s. Gow moved away from the BTCC in the early 2000s, and the series soon entered decline. Since his return he has rebuilt it into a championship that has a full grid of 32 cars and attracts tens of thousands of spectators. Gow is also the chairman of the Motor Sports Association, the governing body of the sport in the UK, and has worked tirelessly to improve the health and prosperity of the sport at all levels. 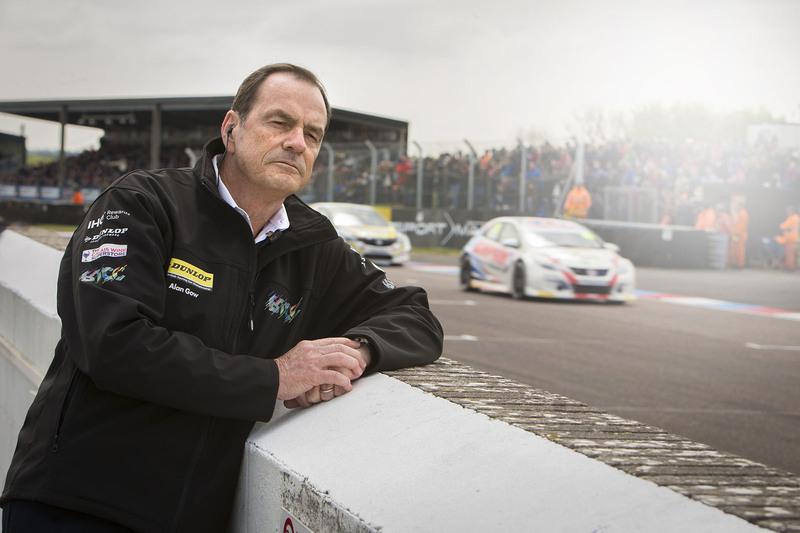 Autocar’s Steve Cropley shadowed Alan Gow during a BTCC meeting recently. Get this week’s Autocar, on sale Wednesday, to read the full story. 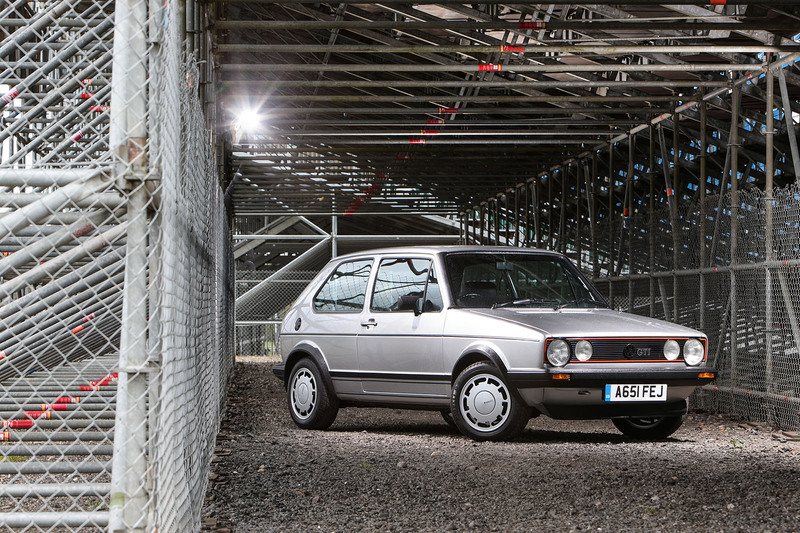 The original Volkswagen Golf GTI won this award after topping an online vote of 39 cars that we believed had changed motoring for the better. The Golf GTI began life many years ago as something of a curiosity, but its blend of enhanced pace, subtly tweaked style and value for money soon created an entire car movement. Despite spawning many imitators, the Golf GTI continues to lead that movement, because its creators remain focused on what matter. Now, as ever, the Golf GTI is one of the true greats of our industry. 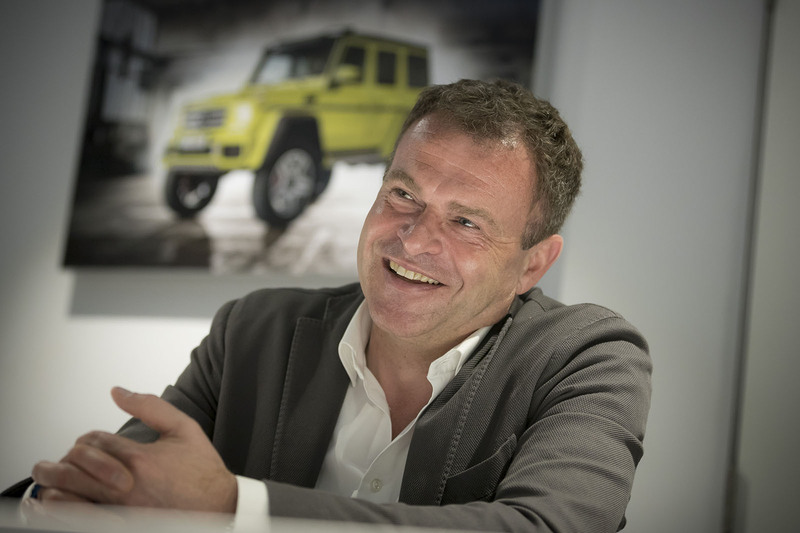 As the boss of AMG, Tobias Moers has transformed what was a badge on a car into a car maker in its own right, trebling sales and creating a string of brilliant and diverse models that are among the keenest driver’s cars in the world. In 2013 Moers moved from being head of AMG's engineering department to running AMG itself, and since that time the performance arm of Mercedes has grown from selling 33,000 cars a year to just shy of 100,000. He did so by changing the brand and introducing a portfolio of models. These include the much-hyped Project One hypercar, which will be revealed at Frankfurt in September. Buyers have already found for all 275 examples that are set to be built. 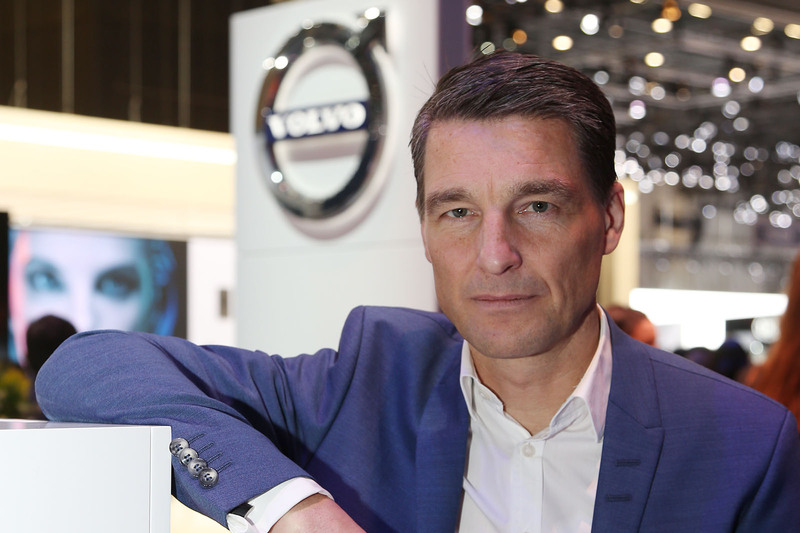 In his five years at Volvo, Thomas Ingenlath has helped turn a fairly mainstream brand into a fully fledged luxury one. Ingenlath has led the creation of a new, full-sized XC90, a family-sized XC60 and the new V90. But it’s the compact XC40, due this autumn, that moves Volvo into a new market slot and into new territory. Volvo’s products are now among the most desirable, distinctive and best-looking on the market, and they are true rivals to the German luxury car makers that were once considered the unchallenged leaders. A five-star Autocar road test verdict is highly prized by manufacturers and readers alike. Autocar invented the road test in 1928, and our remains the most thorough and exacting test in the industry. This year, just three truly special cars have achieved the coveted five star verdict. The Porsche Panamera gets a five-star award for being astonishingly complete for a modern GT. Fast, engaging and comfortable, the Panamera’s versatility is incredible. The second-generation Porsche Panamera is every inch a landmark in the development of both the Porsche brand and the four-door grand tourer breed as a whole. Click here to read our Porsche Panamera review. 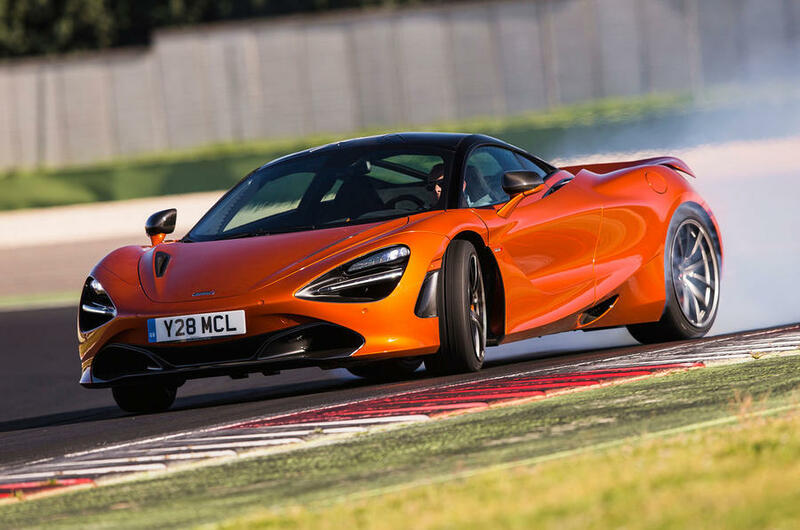 Click here to read our McLaren 720S review. The Bentley Bentayga was the receipient of a Game Changer Award last year, and this year it collects another trophy following the introduction of a diesel version - the first such model in the long history of the manufacturer. The result is a more frugal, more usable luxury SUV that is still just as refined as its petrol-engined sibling. 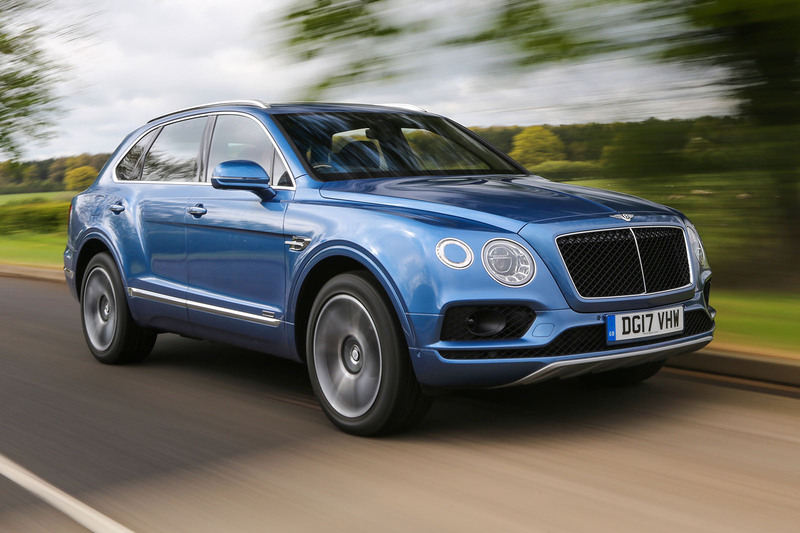 Click here to read our Bentley Bentayga Diesel review. The Editor’s Award is a new trophy awarded to the person judged to have had the biggest impact this year on their company’s success. 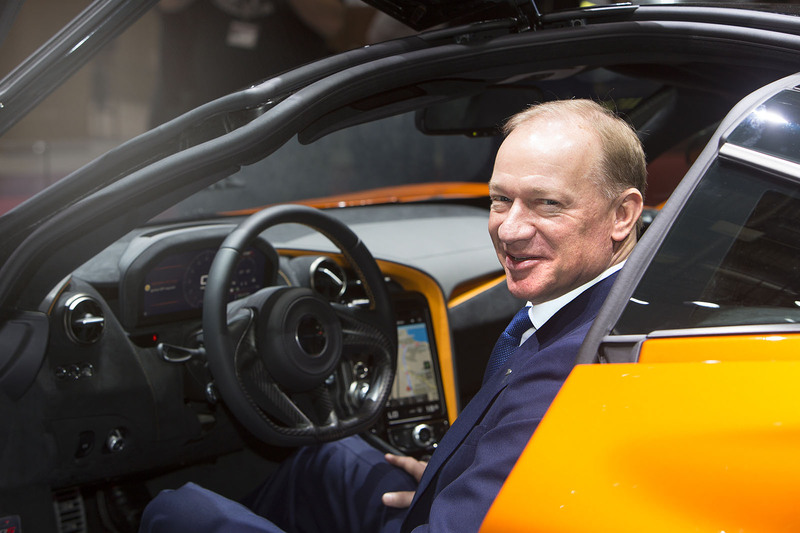 Mike Flewitt took the reins at McLaren Automotive four years ago, with a long to-do list that included improving the firm’s image and preparing a series of ‘entry-level’ models. He has since doubled sales and made his company consistently profitable – and has just unveiled the brilliant new 720S supercar that has secured our latest five-star road test verdict. How many games are these cars changing? Dear Lord... PICK ONE. And NOT the Ateca, a BlandUV if there ever was one. Can we expect the Karoq to win next year? GAME CHANGER! Yup, the Qashqai was the game changer, a a massive one at that. Like the segment or loathe it, the Qashqai created what is currently the most important segment for any mainstream manufacturer. Its ten years old too. I fully agree. Design baroque not élégant at all. No sporty, not classy. Good for rich Arabs. I must be watching a different game....nothing here floats my boat even if I had the money ! I would give an award to the company that can reduce the cost of ownership. And who the .... are Vredestein tyres ? SEAT ATECA a game changer? 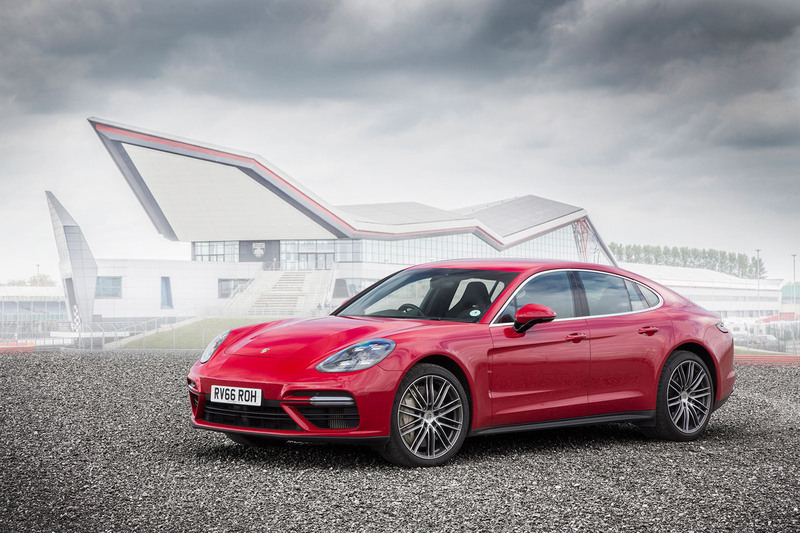 PORSCHE PANAMERA 4S DIESEL and BENTLEY BENTAYGA DIESEL a 5 star award? oh well everyone has an opinion even if they're a wrong opinion, IMHO. Ah, the Tesla Model X. A bland, overpriced design with impractical 'look-at-me' doors which will be almost non-existent in Europe, even if you did want to buy one. It changes nothing. Tesla are funny. They must have the best PR agency in the industry. Their primary business (apart from as Musk's vanity project) seems to be burning vast piles of cash every month. They are so far from being profitable, it's not even a remote possibility in the near future. Any company can make products at a huge loss. If Tesla were charging enough money per car to make financial sense as a business, they would have no customers at all. On top of that, there's no way they can build anything like the number of cars needed to disrupt markets. I don't imagine for one minute the boardrooms of large car companies are quaking in their boots because of Tesla. But keep stoking the myth. 0-100,000 expensive cars a year in a little over 8 years, a market value greater than Ford. Mercedes, Porsche and other manufactures depespartely playing catch-up, just look at the sales figures of the Panamera in the US for the last 5 years. 100,000 in a global market of almost 100 million sales per year is peanuts. And Tesla is reported to lose $13,000 for every car sold (up from $4,000 two years ago). Does that sound like a success story? The market capitalisation does not really mean much. Even Elon Musk said recently Tesla's valuation is absurd considering the financial situation. There are plenty of tech companies right now which are hugely overvalued considering their profitability and prospects. Everyone seems to have quickly forgotten about how the last tech bubble burst in 2001, as a result of ever unrealistic share prices.